India plans to break into the exclusive club of countries that have put humans into space by launching its first manned flight, which will send three astronauts into a low Earth orbit for a week in 2022. This is the latest push by India into strengthening its space ambitions, which so far have been mainly limited to launching satellites, for itself as well as other nations. Last year, India set a record with the launch of 100 satellites in a single mission. India has also launched exploratory, unmanned missions to the moon and to Mars. But the manned craft would take New Delhi’s space program to another level. India’s progress in space exploration will be closely monitored from across the border by China, which, along with Russia and the US, makes up the club of powers to have launched manned space flights. The expansion of China’s space program has been by far the most aggressive and it clearly indicates the country’s aim to be a global superpower in all domains, earthly or beyond. 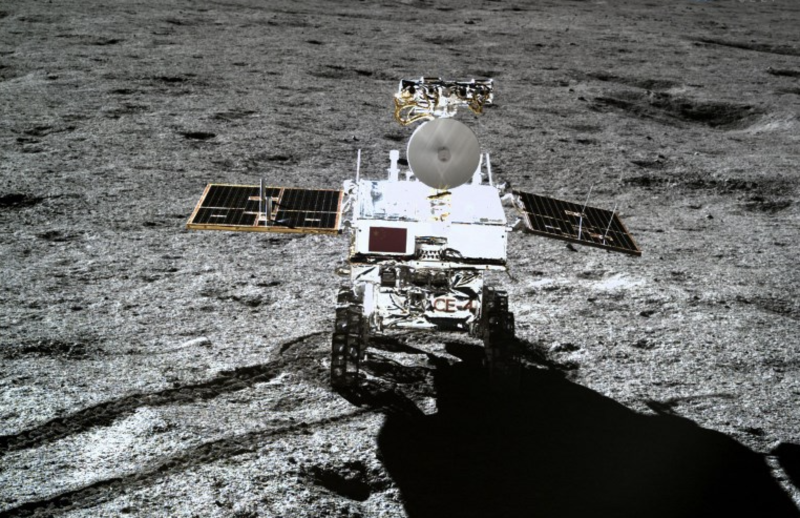 China this month became the first country in the world to explore the dark side of the moon, when its probe, Chang’e-4, landed on the side that is always turned away from the Earth. The probe has gone on to do some unique experiments, including germinating a plant — the first time that “life” has been created by humans anywhere in space. Chinese President Xi Jinping has identified space as the next frontier for his country to mark its presence, besides its plans to expand its influence on Earth through initiatives like the Belt and Road Initiative and aggressive territorial claims in the South China Sea, Africa and even the Arctic and Antarctica. In space, China wants to create a permanent space station and send manned missions to the Moon and Mars. China’s plans have the US worried. Last year, Vice President Mike Pence unveiled plans for the creation of a US “Space Force,” justifying it by saying “our adversaries have transformed space into a war-fighting domain,” in reference to the rapid advances the Chinese have made in space and their plans for the future. The US has already increased NASA’s budget, while the private sector there has also begun participating more actively in the space program; notably Tesla’s Elon Musk and Amazon’s Jeff Bezos, who are competing to make the biggest heavy-lift rocket in the world, with their SpaceX and Blue Origin projects respectively. The private sector is also close to introducing space travel for civilians. Though the US and Russia have shared the International Space Station for decades and have also occasionally welcomed astronauts from third countries, their cooperation in space has remained limited to this, and the two arch-rivals compete fiercely in other domains. The reasons behind the competition are manifold. The first is, of course, military. Almost all space programs in the world started off as defense projects and the civilian applications have been additional benefits rather than the primary driver. As China has begun edging out Russia as the main rival to the US, its military is keenly driving the space program to be able to match Washington in this area. Besides military applications, countries are also competing to tap into the immense natural resources available in space. Various nations, notably the US, Russia and China, have already begun planning mining operations on nearby heavenly bodies to hunt for precious metals and minerals that are in short supply on Earth, or for which future demand is expected to rise sharply. Though the plans are still on the drawing board, some basic capabilities for mining in space already exist, as many space programs now involve bringing soil and rock samples back to Earth for scientific tests. Lured by the potentially limitless resources available in space, these countries are being guarded and competitive even in these civilian areas. And, of course, having a successful space program is a very good sign of soft power that most countries, including India, are keen to show not just to their neighbors, but to the entire world. Theoretically, increasing private sector participation in space exploration should open the doors for multilateral cooperation, as companies would go wherever the clients are. However, governments would need to modify laws, as most regulations block other nations having access to their space projects. For instance, China cannot work with the US as American laws ban NASA from working with the Chinese (and other foreign powers). If the politicians can begin to separate their countries’ space programs into strictly defense applications, dual-use, and purely civilian applications, it could open the path for at least some cooperation. Space is boundless and limitless. No country can afford to put the kind of money that would be needed to carry out large-scale scientific tests and projects that would unravel the mysteries of space. We need a just and sustainable exploitation of extraterrestrial resources for the benefits of humanity. Ranvir S. Nayar is managing editor of Media India Group, a global platform based in Europe and India that encompasses publishing, communication, and consultation services.